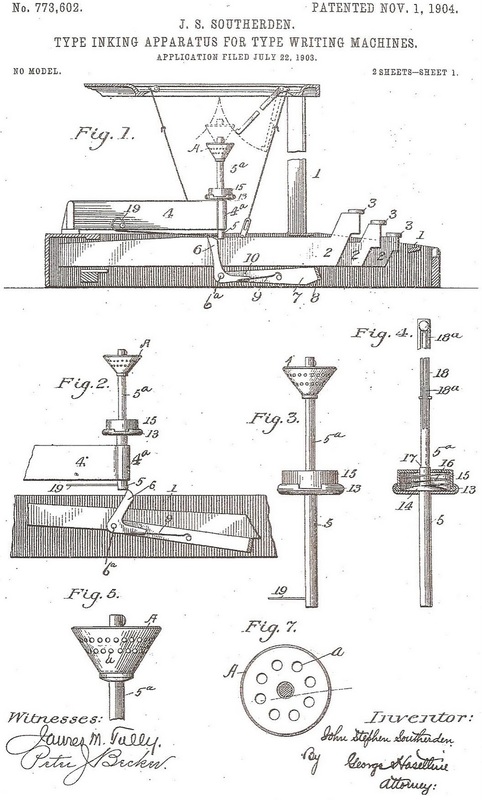 No Australian made greater effort, especially through the United States Patent Office, to succeed as a typewriter inventor than John Stephen Southerden. 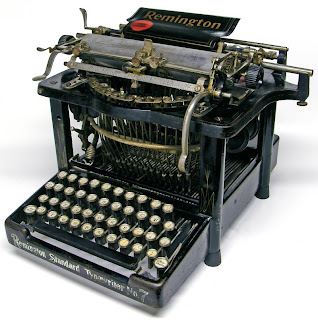 Between 1903 and 1908, the Brisbane-based Southerden made five attempts, through his US-patented inventions, to contribute a significance impact on the burgeoning typewriter manufacturing world. Notable among these were two unique inking methods which would, if they had been taken up and applied to typewriters, have brought about a major change in typewriter design. 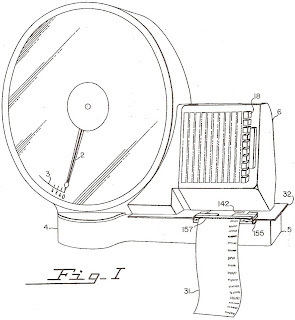 Southerden was far from being the first to try to do away with typewriter ribbon – think Yost, Blickensderfer and Sun, among others. But Southerden’s ideas were as good as any, if all in vain. 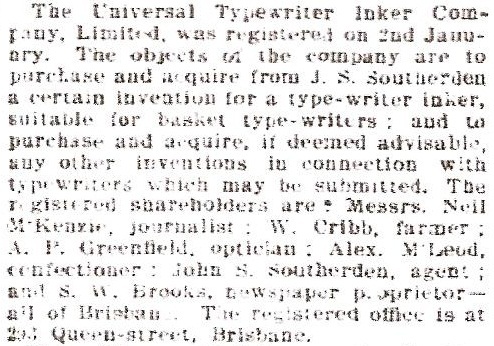 Nonetheless, Southerden’s inking devices were sufficiently impressive for a Universal Typewriter Inker limited company to be registered at Queen Street, Brisbane, in January 1903. Among the investors were leading journalist Neil McKenzie, William Cribb (1837-1928), a member of a well-known Queensland farming family, pioneering optician and inventor Albert Percival Greenfield (below), confectioner Alexander McLeod, and Southerden himself. The sixth backer was Samuel Wood Brooks (1840-1915), a politician, journalist, proprietor of the Moreton Mail and president of the Queensland Country Press Association. Alas, all of Southerden’s efforts with his inking devices were to prove to be to no avail. And yet his ideas survived another 59 years. 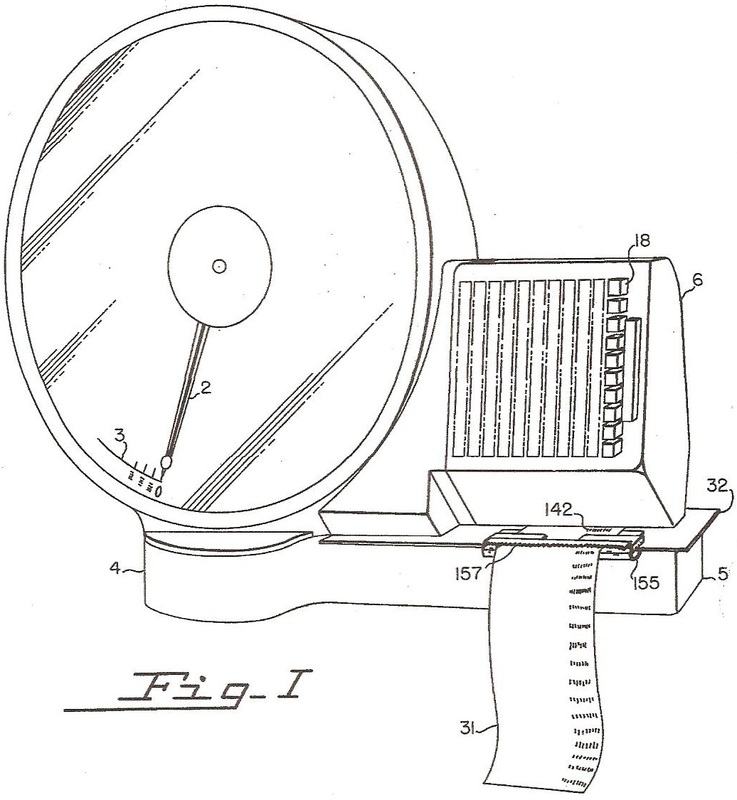 In 1963, when Clarence E. Adler of the Toledo Scale Corporation in Ohio patented a scale printer, he referenced one of Southerden’s designs. 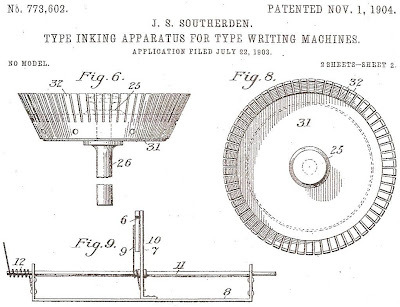 Southerden appears to have applied for US patents for two separate inking devices on July 22, 1903. 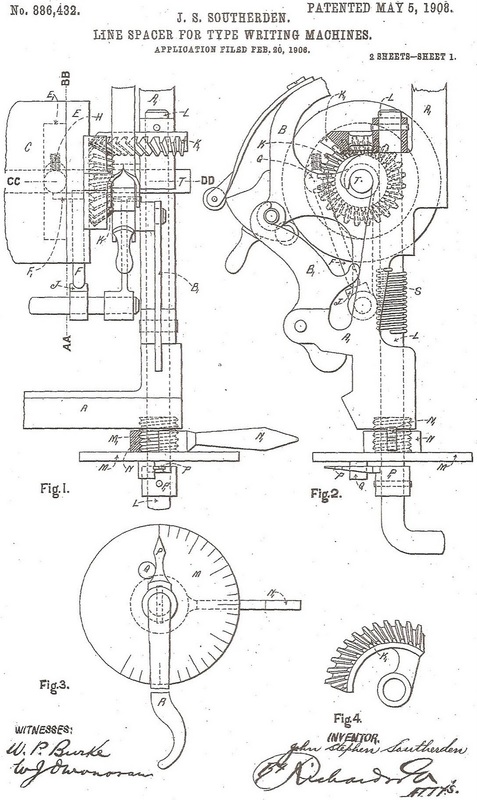 One was designed to be applied to a Remington upstroke machine and the other to a Smith Premier. 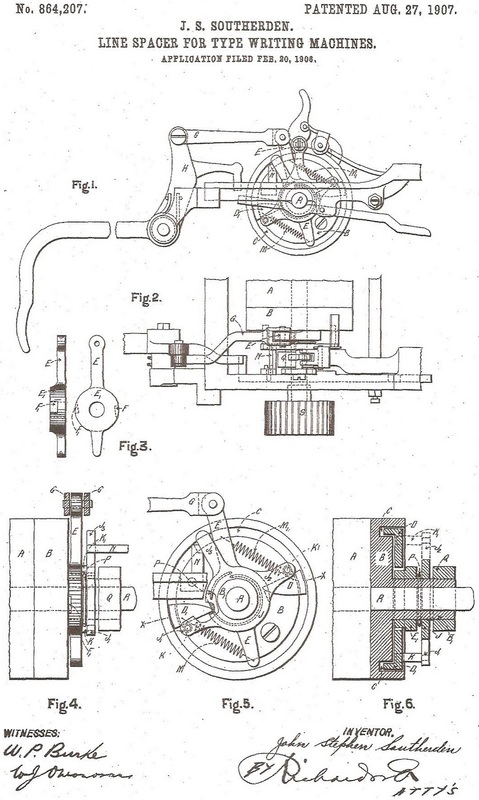 The patents were issued on November 1, 1904. 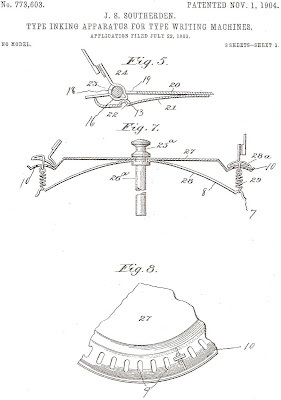 The first, No 773,602, states its object is “to dispense with inking-ribbons and the necessary mechanism for operating same, also to insure better definition”. 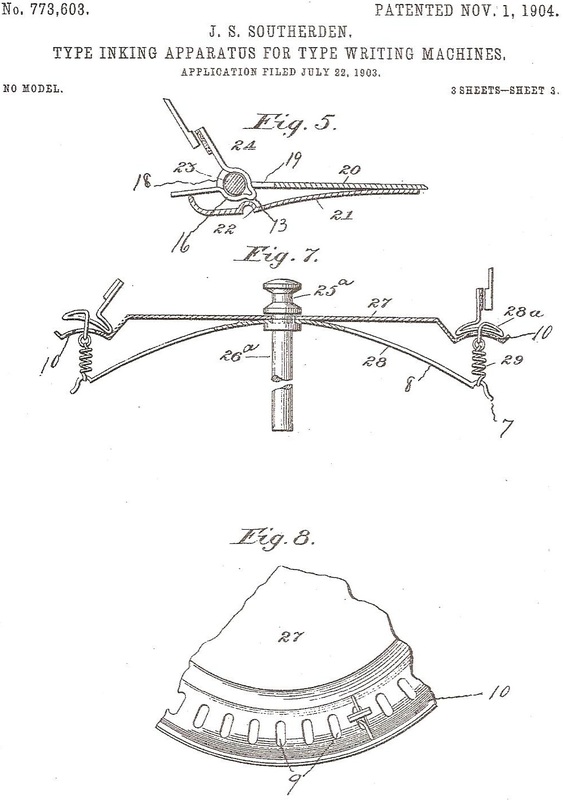 The second patent, No 773,603, set out to provide inking “by a novel manner of presenting to each type an individual inking-pad”. 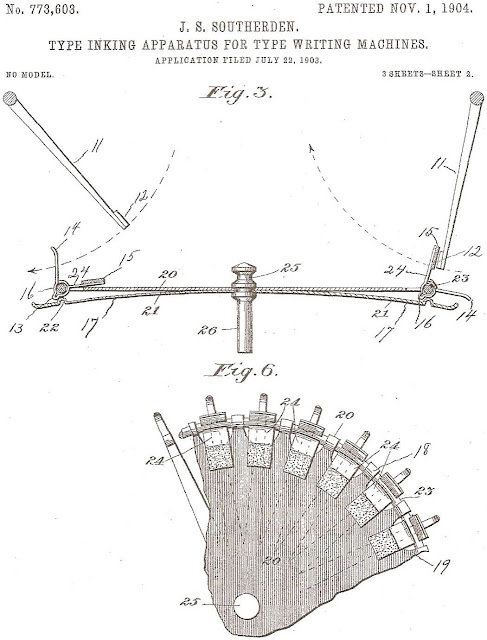 Southerden has been mentioned on this blog in the past, but not in relation to his inventions. It was known that he was, at the turn of the century, the sole Australasian manager for Blickensderfer typewriters. 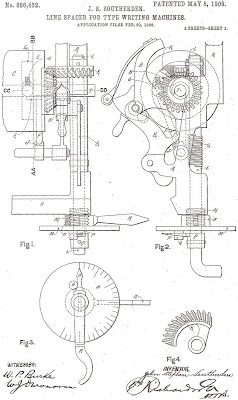 This image appears in The Five-Pound Secretary: All Illustrated History of the Blickensderfer Typewriter, by Robert Blickensderfer and Paul Robert (2003). The caption says it is of an office stamp set. Southerden's name, as "Manager for Australasia", appears at the bottom. 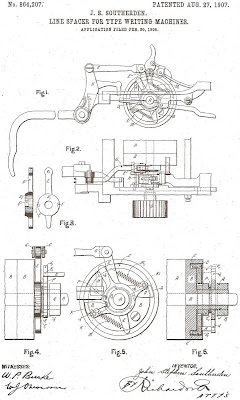 But it now appears his agency work had a more on-going history in dealing with other major American manufacturers, notably Remington and Smith Premier. The Smith Premier typewriter was first seen in Queensland at the colonial exhibition in August 1896. It was exhibited by a company with which Southerden was associated, the American Agency Co Ltd. 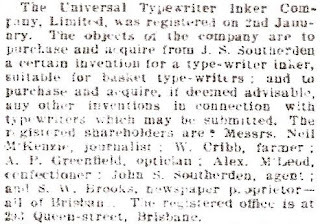 Launched with a capital of £400, this organisation’s objects were to deal in cash registers, typewriters and typewriter supplies on Queen Street, Brisbane. 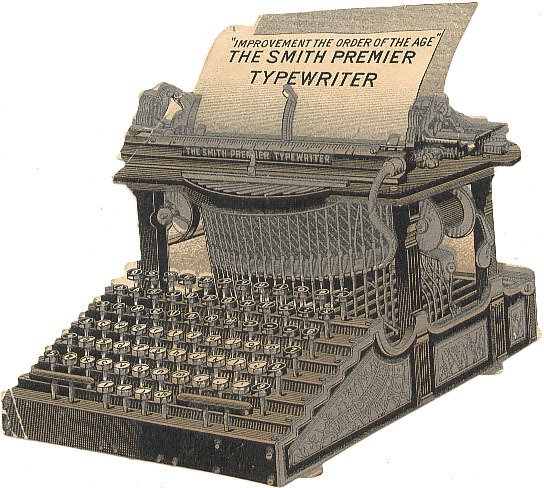 In 1898 Southerden’s involvement in the typewriter business extended to his first application for an Australian patent “concerning [the] invention [of] improvements in and relating to typewriters”. 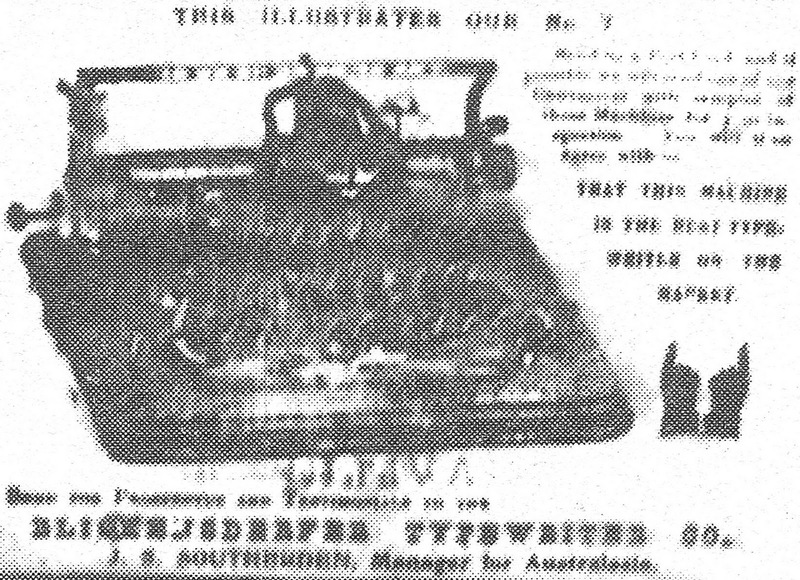 Southerden does not seem to have had a great deal of success selling Blicks in Australia in this period, unlike his fellow Australian Thomas George deRenzy, who established the New Zealand Typewriter Company in Auckland, or Alfred Hamish Reed, who set up the NZTC’s branch in Dunedin and took over the national company. The difference in the penetration of Blicks into the Australian and New Zealand typewriter markets back then is still being felt today. Blicks remain exceedingly rare in this country, while those sold with the NZTC shield continue to appear regularly on New Zealand’s equivalent of eBay, Trade Me. As with all other brands, regardless of era, current availability is a direct reflection of market penetration at the time these machines were new. 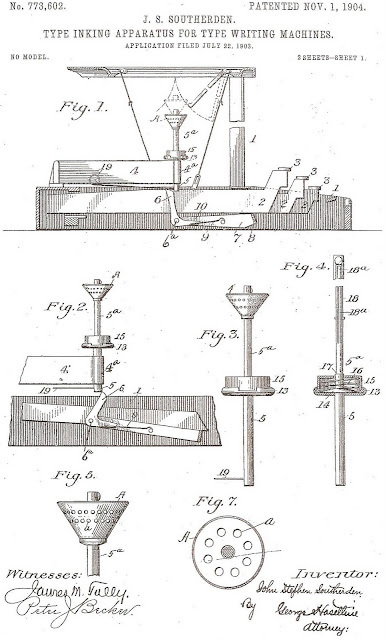 For all his lack of success in selling the Blick, it is now clear, through his patent applications, that Southerden had a much longer and closer working relationship with Remingtons and Smith Premiers. Southerden first advertised Blicks in Brisbane newspapers in April 1898, with a price tag of £6 10 shillings. 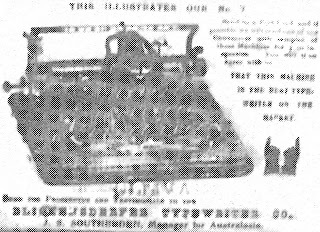 Within four years the agency had switched to Samuel Smith & Co on Edward Street, Brisbane, which early the next year became known as the Australian branch for the Blickensderfer Typewriter Company. Briefly in 1906 Blicks were sold by Stott and Hoare, which later became Stott and Underwood, but Smith resumed the agency soon after. Advertising for Blicks ended in 1907. It obviously was a struggle to sell them in Australia, for some strange reason. 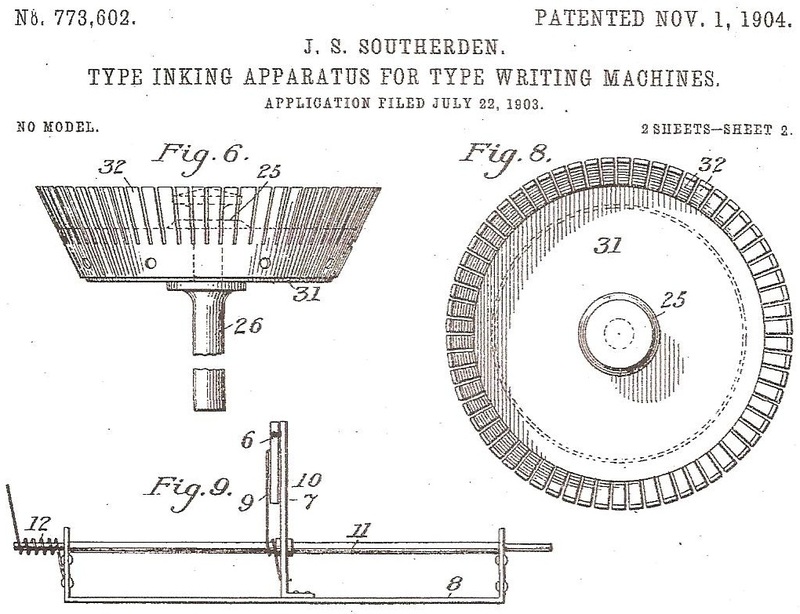 At this point, Southerden returned to typewriter inventing, with three patent applications for line-spacing mechanisms for Remingtons and Smith Premiers. These were No 864,207 (Remington), applied for on February 20, 1906 (issued August 27, 1907), No 886,432 (Smith Premier, issued May 5, 1908) and No 886,433 (Remington, also issued May 5, 1908). 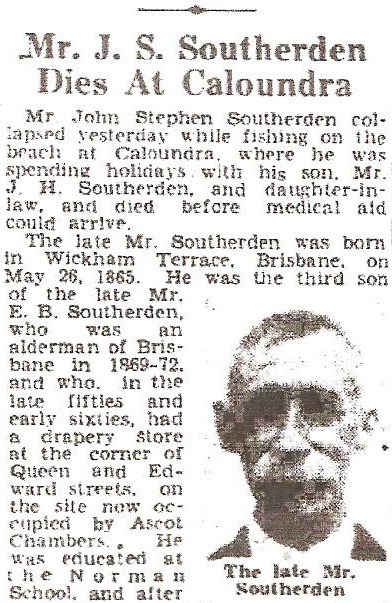 John Stephen Southerden was born at Wickham Terrace, Brisbane, on May 26, 1865, the son of Edward Barton Southerden, who from the late 1850s had owned a major drapery store on the corner of Queen and Edward streets, Brisbane. 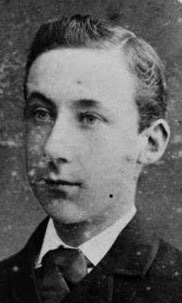 Young Southerden was educated at the Norman School and first worked as a teacher before becoming employed by the hardware merchant Alfred Henry Shaw (1832-1908). 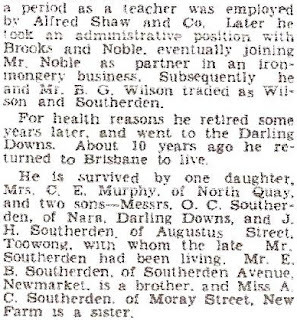 Later Southerden joined ironmongers Brooks and Noble, eventually taking over the business. In 1889, Southerden registered two early Australian patents, for “Improvements in machines for cleaning boots, knives, plates, bottles and for other similar useful household purposes”. 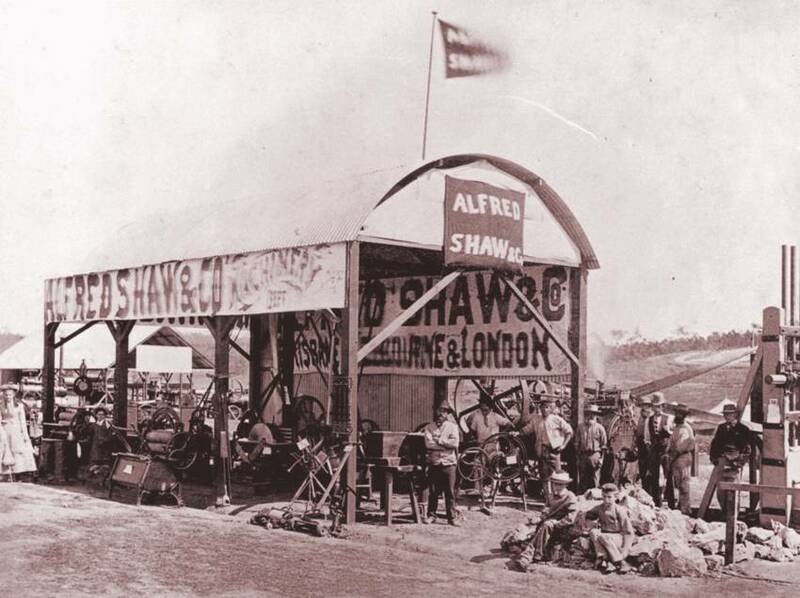 At the time he ran a business selling roller skates, household novelties, sponges, bamboo blinds, hammocks, canvas stretchers, lawn mowers, garden shears and “very handsome” fire screens. He was living at Birkdale, Enoggera. In 1893 Southerden started a business in house furnishing, building and general ironmongering. 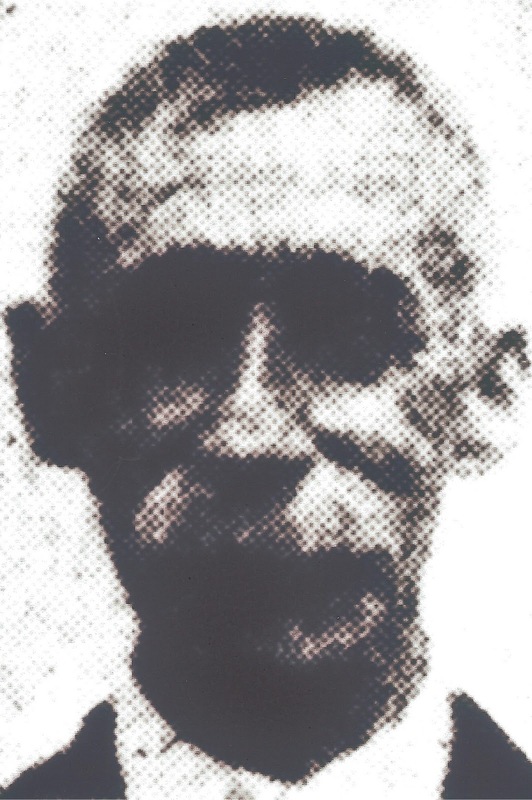 In 1896 he became the Queensland agent for Mortein insect repellent, as well as boot blacking, dubbin, grease eradicator, fire-lighters, electric stove polish, cockroach powder and cement. 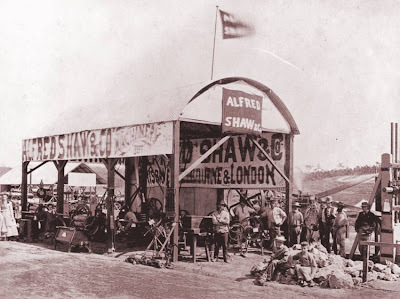 In 1905 Southerden became a commercial traveller based at Newmarket in Brisbane, then in 1913 took up land at Goombungee, outside Toowoomba, where he share-farmed. 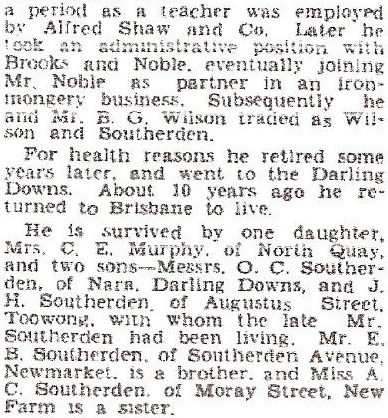 He moved into Toowoomba itself in 1925 and was a commission agent. In his old age he lived with a son in Toowong, Brisbane. His obituary doesn't mention typewriters! 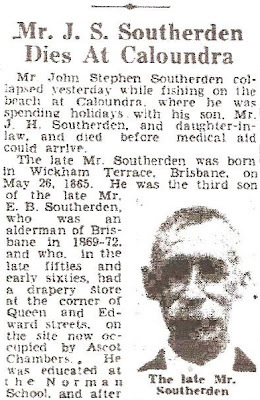 Southerden died on March 31, 1937, aged 71, after he collapsed while beach fishing during a summer holiday with his son at Caloundra. Southerden has also been previously mentioned in these posts as the uncle of one of the world’s great aviation pioneers, Sir Charles Edward Kingsford Smith. 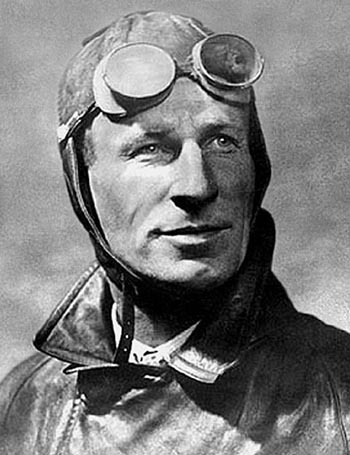 Kingsford Smith was also a Queenslander, having been born in Brisbane in 1897. The double-barrel name was adopted while his father worked in North America for Canadian Pacific Railways in the early part of the 20th century. Kingsford Smith began his education in Vancouver. 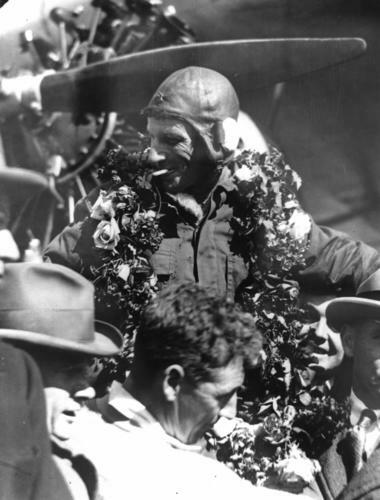 After being decorated in World War I, Kingsford Smith became a stunt flier in a flying circus in the US. Back in Australia he set up in business with Charles Ulm and the pair launched a series of important demonstration flights. 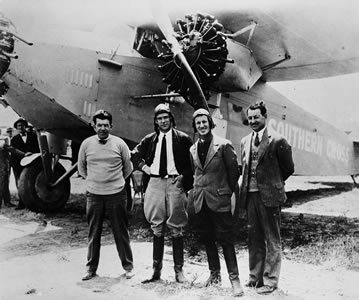 In a three-engined Fokker plane, the Southern Cross, with Ulm and two American crewmen, Harry Lyon and Jim Warner, Kingsford Smith took off from Oakland, California, on May 31, 1928, and flew via Hawaii and Suva to Brisbane, completing the historic crossing in 83 hours 38 minutes of flying time. 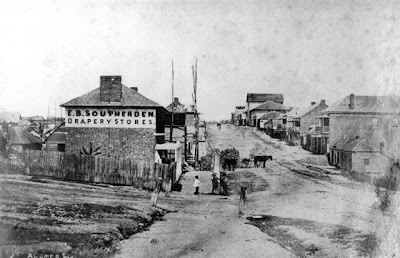 Brisbane newspapers reported at the time that among family members and relations who were following this exploit with great interest was John Stephen Southerden. Kingsford Smith and Ulm then flew to England in the record time of 12 days, 18 hours. 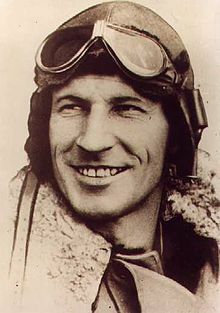 In June 1930 Kingsford Smith achieved an east-west crossing of the Atlantic, from Ireland to Newfoundland, in 31½ hours. New York gave him a tumultuous welcome. In 1934 he made the first west-east trans-Pacific flight. Kingsford Smith died, aged 38, in November 1935, in what is believed to have been a plane crash into the sea somewhere off the coast of Burma.